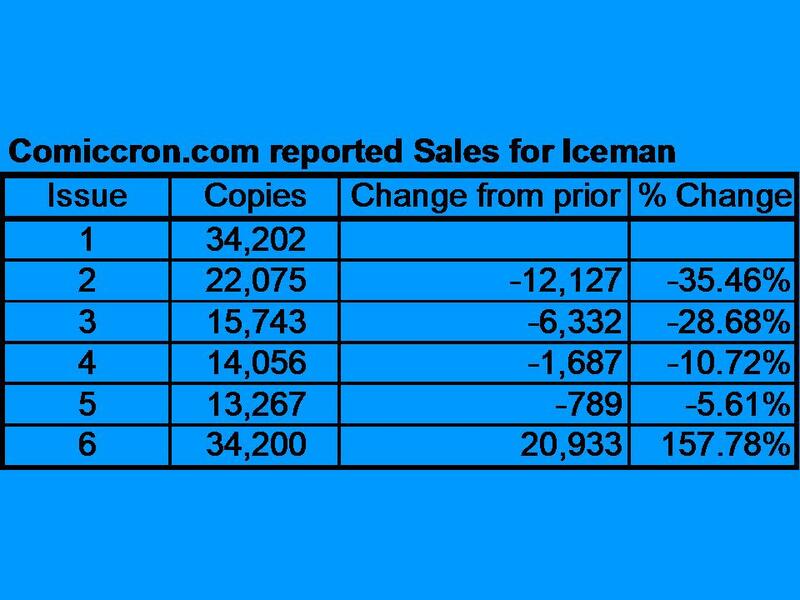 I took a look at the sales as reported by Comiccron for Iceman. 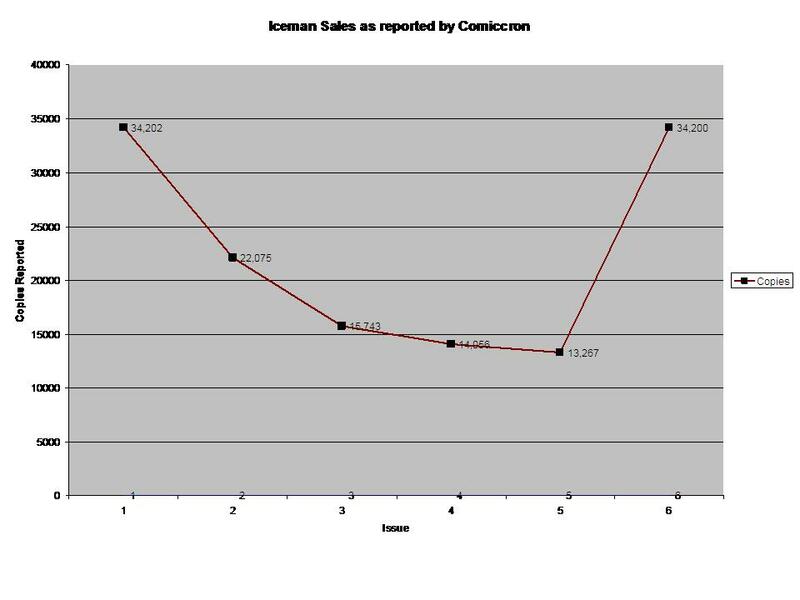 In summary, what I have found, is that the sales look like that after only a few issues are below the 15,000 copies per issue, where it is rumored that Marvel would cancel a series. While the most recent issue for which sales are available, issue #6, do show a large jump, almost back to the initial first issue, it looks like there was some kind of special promotion that may explain that jump in copies. 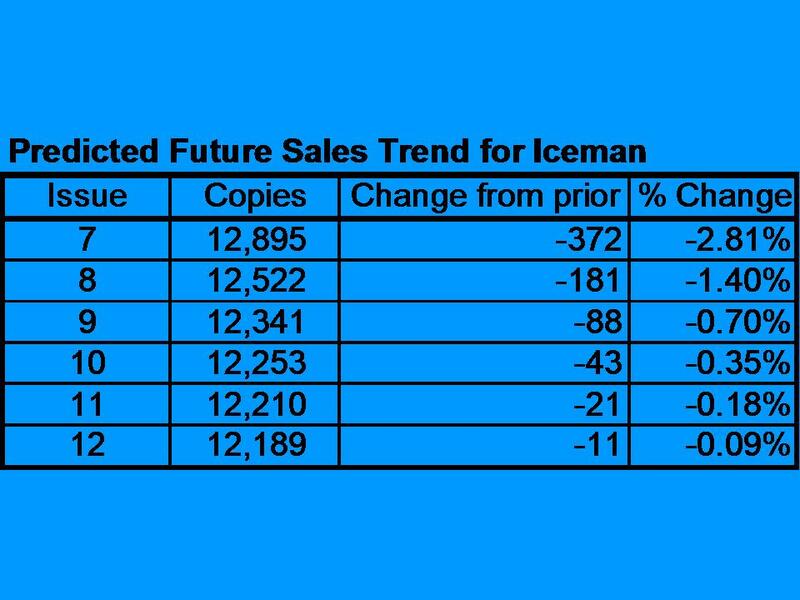 If this is correct, then when sales for the next few issues are reported, I would expect sales to resume their decline as though the promotion never happened. The one good thing, that a quick look at the numbers seem to show, is that the rate of decline seemed to be starting to ‘level off’ with issue #5, and it looks like the series should be be able to hold at or above 12,000 copies. The only problem is that this would be 3,000 below the rumored Marvel cancellation level of 15,000 copies for a series. There may be disruption in the decline trend due to the large jump in issue #6, but I expect that over time that reported sales by Comicron would revert to near this trend. I will try to update this data as new sales are reported. 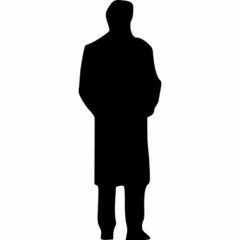 Agree or Disagree, Like or Dislike, I look forward to the discussion about comic book sales and its effects on stores and the industry as a whole.